Idris Elba was chosen because he’s Idris Elba. Pop sensation and national treasure Dua Lipa was chosen as the most kissable woman in the UK thanks to her smouldering good looks, and feel-good girl-power anthems such as ‘New Rules’ and chart-topping hit ‘One Kiss’, Idris Elba was chosen because he’s Idris Elba. Runners-up were Scottish actress Karen Gillan of Jumanji, Doctor Who, and Guardians of The Galaxy, and Aidan Turner of The Hobbit and Poldark. Winners in previous years were Kate Beckinsale, Jamie Dornan, David Beckham, and Holly Willoughby. Piers Morgan, Katie Hopkins, and Nigel Farage came in as some of the UK’s least kissable, with non-UK resident Donald Trump taking the lead due to special consideration in light of obvious reasons. Imagined relationships with celebrities are called ‘parasocial relationships’ and have been a phenomenon for decades. With the advent of social media and being able to see more of your celebrity crush, and feel like you truly know them, they have seen a rise in recent years. 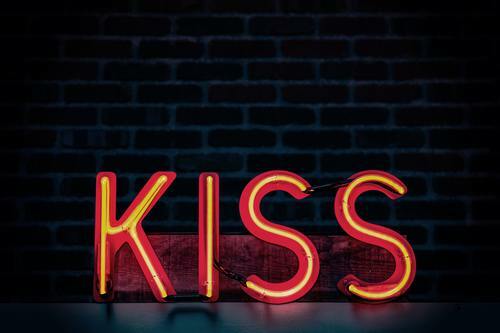 While it can be fun to fantasize about kissing a gorgeous celebrity, there’s nothing like kissing a real life person and building a relationship, which is what National Kissing Day is all about. A celebration of kissing, intimacy, and love, National Kissing Day wants more people whether they be couples, family, or friends, to enjoy a kiss this Friday. Is your favourite celebrity missing? You can nominate who you think should win on the National Kissing Day website! The founder of National Kissing Day is available for interview or comment. The lists were compiled and selected by The National Kissing Day Panel, which is comprised of members of the National Kissing Day Team.